Enjoy the Flawless Floorplan in this South facing Jones Hill Home! Flooded with Gleaming natural light! 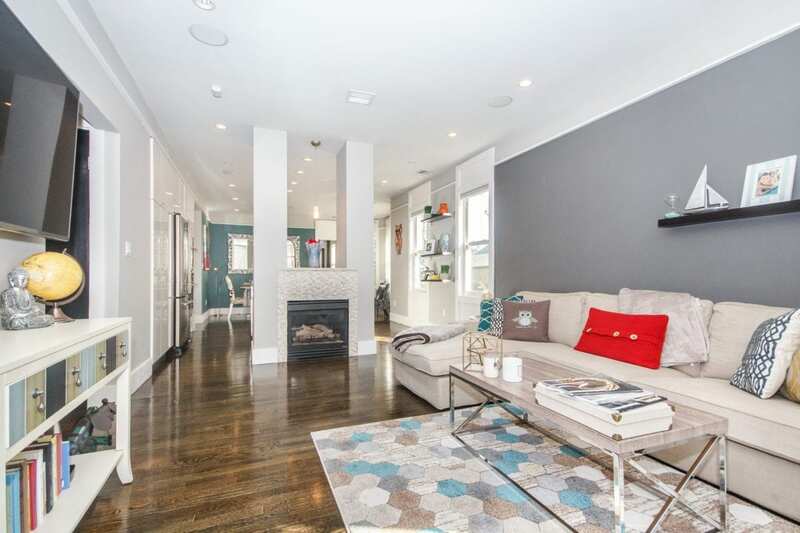 Vibrant & Sought after Dorchester location nestled among beautiful Victorian era homes! Sweeping Open living/dining/kitchen is Perfect for memorable entertaining! Windows are absolutely everywhere you look! Warm up next to the gas fireplace this coming winter. Chef’s kitchen with white quartz counter tops, stainless steel Jenn-Air appliances, gas cooking, and farmers sink! Wet bar includes built-in Miele espresso maker and wine refrigerator. En-suite luxurious master bath with separate soaking tub, glass enclosed shower, and double vanity. Relax on either your front porch or back deck! Espresso stained hardwood floors throughout, washer/dryer in-unit, private storage area and Parking! Need we say more!? Convenient to the Savin Hill T, 93, Masspike, and downtown! Impeccable Condition! Click Here to view the Floorplans and More Photos!